Want to show off the fancy spherical photography prowess of your Nexus 4, but can't find buddy rocking Android 4.2? 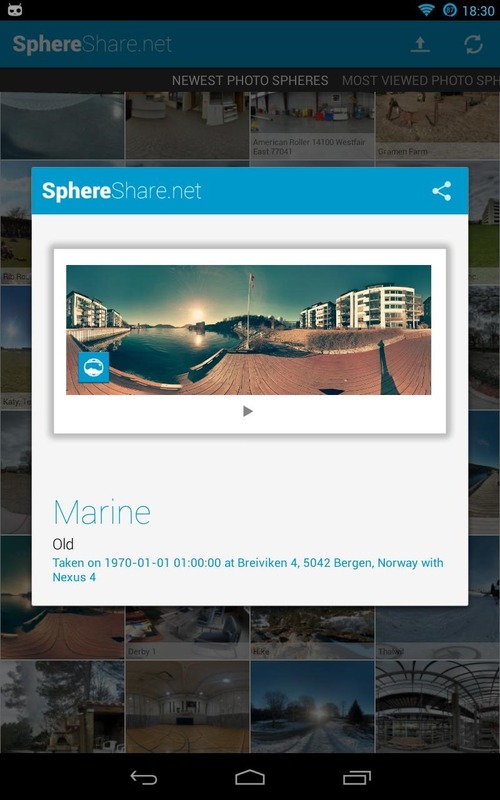 SphereShare is here to solve your shutterbug problem so that you can post those omnidirectional masterpieces somewhere other than Google+. 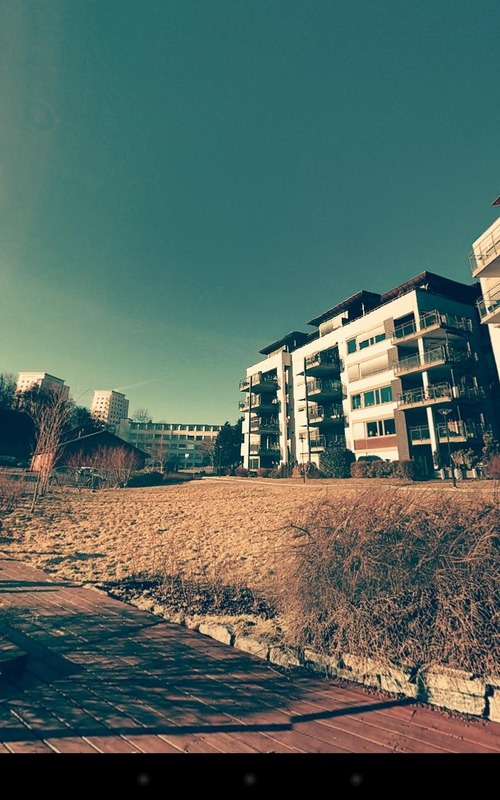 The app is dedicated to the PhotoSphere feature, allowing users to upload their own photos for quick and easy sharing, or post them to a public gallery for all the world to see. It's like a very narrow Picasa, minus the editing features. 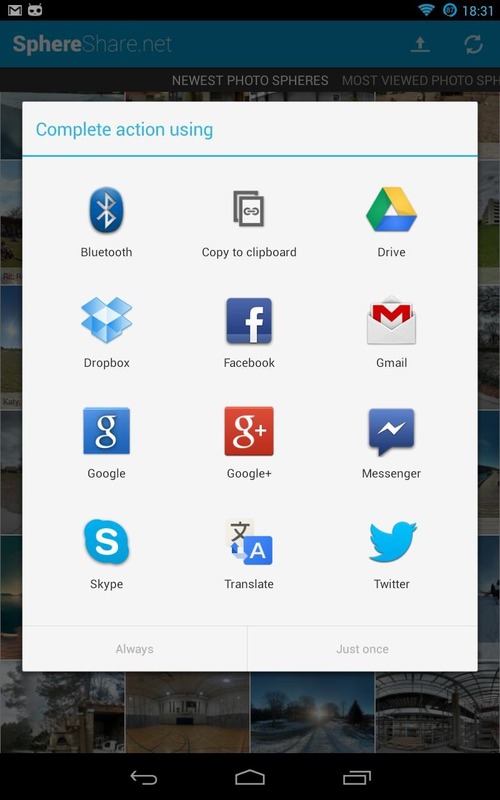 The app can share your PhotoSpheres to all the standard social networks, in individual or gallery form. 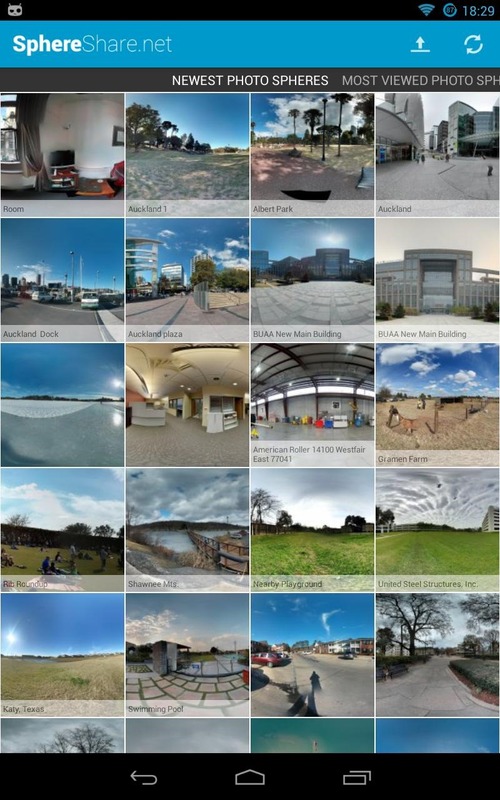 If you don't have the latest and greatest in Android releases, you can still use the app to browse the PhotoSpheres that have been posted publicly, whether you're on Android 4.2 or not. (You'll still need at least 4.0 to install SphereShare itself.) 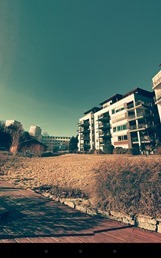 The viewer works perfectly, emulating the view on the native PhotoSphere gallery. 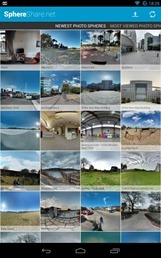 Want to browse a metric ton of Sphere photos from something larger than ten inches? Head on over to SphereShare.net from your desktop.